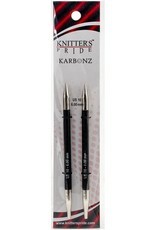 Knitter's Pride-Karbonz Interchangeable Needles. Made from high- tech carbon fiber with tips in nickel plated brass. 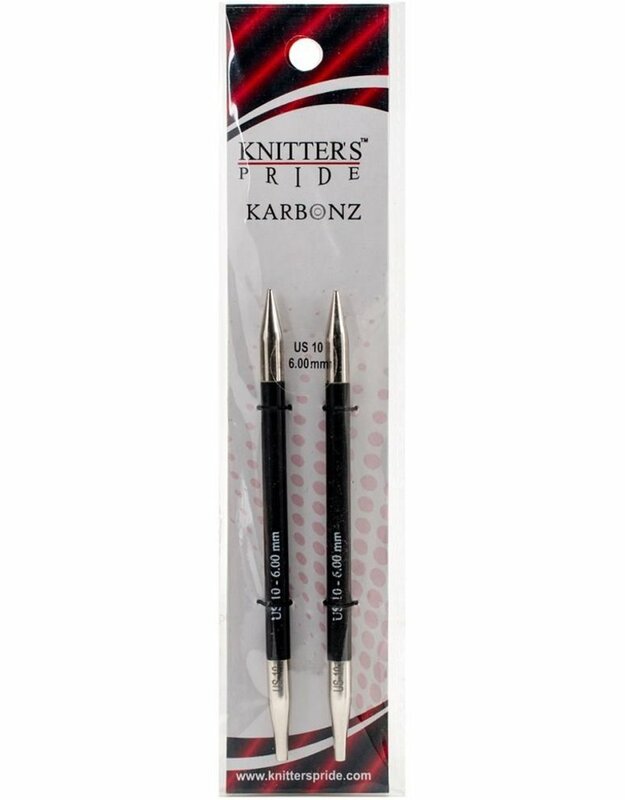 The light bodied carbon fiber & sharp brass tips is guaranteed to provide an unparalleled knitting experience. Ideal for all types of yarns and for every project. Customizable cord length. Interchangeable needles are excellent for socks, and projects with high stitch counts.